VCI is your summer destination for fishing, hiking and sightseeing. We are centrally located between the Redwood National Park and Pacific Ocean. 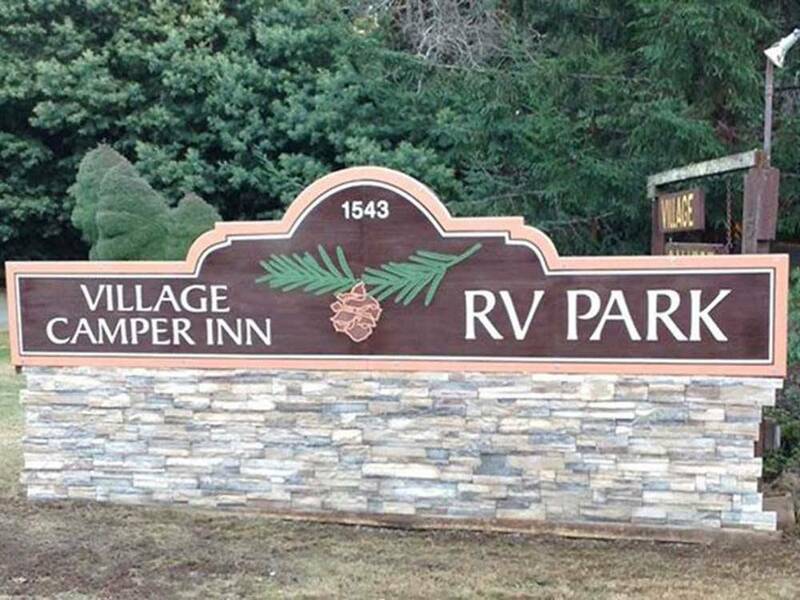 Natural setting, Big Rig approved, Pet Friendly and Pickleball courts. Easy access from Hwy 101. Wooded and pleasant setting. Sites where we were located were gravel with a small concrete pad for a picnic table. Didn't cruise the entire park so sites could be different in other sections. Easy pull-through parking and plenty of room to maneuver. Utilities were easy to access and connect. WiFi was nice, but reception wasn't the best. Nice park for a one night stop and go. Nice enough park. Secluded, no road noise, easy enough to get in and out of. Many long-term (all summer) residents, but the place is neat and tidy. Positives: Concrete slab patios next to gravel landing spaces, lots of grass, asphalt drives, no dust. Negatives: One bath/shower building and trash collection area, which can be as far as 250 yards away from the outlying loop. Bath house is OK. Probably 3.5 stars, overall.